Are you a wood cutter??? 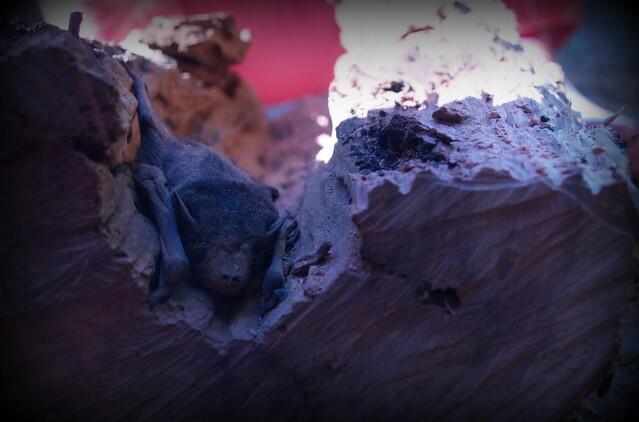 What kinds of critters (if any) have you found living inside your timber?? What a lucky little bat! My Dad used to get a permit so he gather firewood each winter. As a teenager, I would go along with him and as he chainsawed larger trunks into smaller pieces, I would lift them into the trailer. We would pack a thermos and morning tea and have a wonderful morning together. Years ago we use to burn wood and coal. 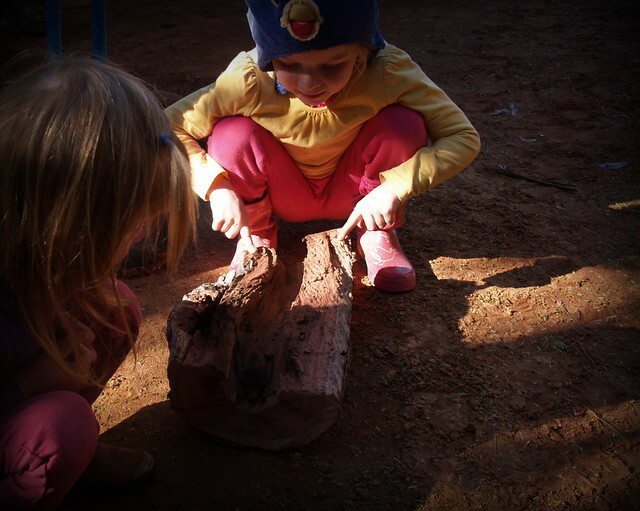 The most that we ever found in the wood was bugs! There are wood roaches too that live under the bark and I found some in our wood box and that was the end of storing firewood in the house. From then on the wood was stacked outside and brought in as we needed it. We had a huge stack of cut wood stored on the back of our property line and one morning I looked out and saw what looked like 2 long pieces of corn shuck blowing back and forth, discovered later on it was wood snakes, yellowish in color and evidently doing some sort of mating ritual, YUCK! It made me so scared to mow close to that row of cut wood, always afraid a snake would pop out at me. That fall we found the snake skins they shed and boy were they long. I do not like snakes! nor do I care for bugs, at least not in my house.